Join expert Wes Simpson as he walks through how to implement technology "on-the-fly" and crush fear before it halts your jobsite! Plus, and this is a big bonus, you'll learn how to use technology to protect those profit margins! Understand the features available in construction software solutions and the best practices for vetting applications and their usefulness for your company. 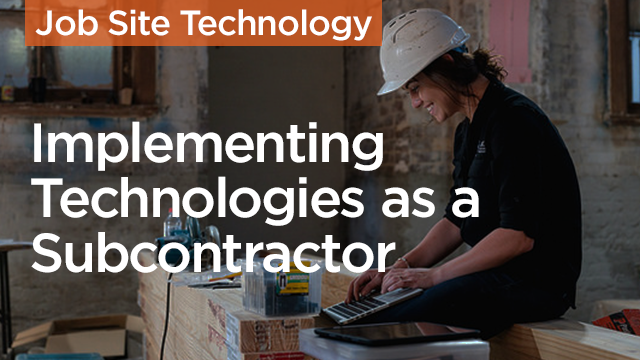 Understand the best practices for implementing a new construction management software. Learn about recommended training tactics that increase comprehension and ROI. Recognize the common issues and setbacks that are experienced during implementation and how to avoid them.